Craft beer is nearly everywhere these days: in stadiums, on airplanes, at gas stations, even on the high seas. I’ve found this makes the general public think one of two contradictory thoughts: Either craft beer is going to completely take over the beer market, or, it’s an unsustainably growing bubble that’s going to burst any minute. It’s neither. Data released this week by craft beer trade group the Brewer’s Association showed that while craft beer volume grew modestly—at a time when beer overall is struggling—it’s not a behemoth nor a bubble. The BA’s annual growth report showed while the overall beer volume was down 1 percent in 2018, craft beer production volume increased 4 percent. (The Brewer’s Association defines a craft brewery as one that is small and independent; see the full definition here.) That’s modest growth, but still respectable given overall downward trends in beer consumption. So how are we to interpret this growth? I’ll answer some common questions. Are there too many craft breweries now? The total number of American craft breweries surpassed the 7,000 mark in 2018, and now stands 7,346 and counting. Some say this is just too many breweries to peacefully coexist, and that surely they will begin cannibalizing business from each other. While 2018 did see more than 200 craft brewery closings, I’d argue that’s a healthy market correction during a year when more than 1,000 opened. Simply being a craft brewery doesn’t cut it anymore; you better have a solid business plan and a quality product. Additionally, there may not be room for a big crop of new regional breweries—I don’t think we’re going to see another Sierra Nevada or New Belgium suddenly spring up—but there are plenty of markets that still have room for another local brewpub seeking only to sell beer in their small area. Is craft beer taking over? While craft breweries saw growth even as overall beer declined, craft beer is still a minor slice of the overall beer pie. Pop quiz: How much of the beer sold in the U.S. is made by a craft brewery? Just a hair over 13 percent. The vast majority of American beer is still made by huge breweries like MillerCoors and Anheuser-Busch InBev, or is imported from Mexico, Europe, and Asia. Will this growth have any effect on local beer laws? Prohibition is like an overserved party guest outstaying their welcome, as its effects still linger perniciously around our nation’s patchwork of local beer laws. Some areas have alcohol-content caps; some don’t allow sales of alcohol at certain times; some restrict to-go beer sales from breweries; etc. One particular detail in the 2018 craft beer data might make it easier for craft breweries to lobby for more permissive local laws: frame it as job growth. Craft breweries created about 16,500 full- and part-time jobs last year, an increase of 11 percent from 2017. (Craft beer now employees roughly three times as many people as coal mining does.) Many of those jobs are considered skilled manufacturing jobs, a sector of the economy that many politicians would like to champion. At a time when steady manufacturing jobs aren’t easy to come by, craft breweries can create solid employment opportunities in small and rural towns. Where will craft beer be in 5-10 years? Craft beer was on a tear in the early part of this decade, growing by double-digits year over year. In 2014, the Brewers Association set an ambitious goal for craft beer to hold 20 percent of overall beer market share by 2020. As growth slowed in the mid- to latter half of the decade, the BA had to walk that goal back, calling it a “longshot.” It was a bit embarrassing for the BA to admit it had overestimated craft beer’s boom years. But sustained growth in the past few years shows that while the explosive growth has cooled, craft breweries aren’t going away. I was writing about craft beer in those heady days circa 2012 and 2013, when the industry was in the midst of its own liquid gold rush. It felt like any craft brewery could succeed just by virtue of being a craft brewery. 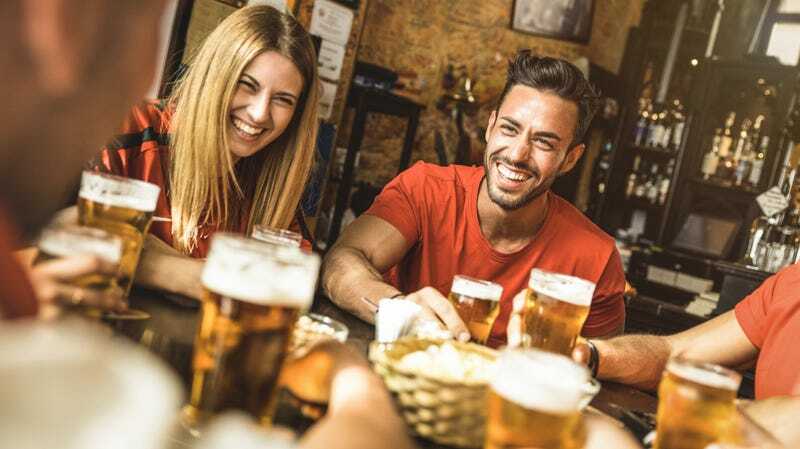 Now, we’ve seen the market settle a bit as consumers become more discerning about their beer and how much they spend for it. If craft breweries collectively to grow, they needs to not only deliver consistent, high-quality, and exciting beer, but also speak to new customers outside of the 20- and 30-something white guy demographic. I personally anticipate modest growth or even a leveling out of craft beer sales volume in the coming years, though I don’t think we’ve reached the peak number of American breweries yet. Could that figure one day reach 10,000? I don’t see it as implausible. Ask Kate About Beer: How much head should a beer have?